RA-UK would like nominations for the BBraun Unsung Hero award 2019. This award is made to recognise the work done by anaesthetists across the country in delivering clinical, research and educational excellence in regional anaesthesia, but who perhaps don't achieve the limelight otherwise. Winners of the award will receive free registration to the 2019 RA-UK ASM in Belfast, and reognition on the day. Please send your nominations to webmaster@ra-uk.org (please include details such as nominee, nominator, brief bio and reasons for nomination). Previous recipients can be found here in the history of our society. Contact email for course enquiries. You may also want to attach any images you'd like added to your page. A pdf (of less than 1Mb in size) of the course program can be attached (anything else will not be uploaded), or a course advert as a jpeg (of <1mb) can be used if all the information above is self-contained and a suitable url is provided to link to). Our all new,booking website is now live, please click the banner above, or follow the link to register for a £50 discount (depending on grade). 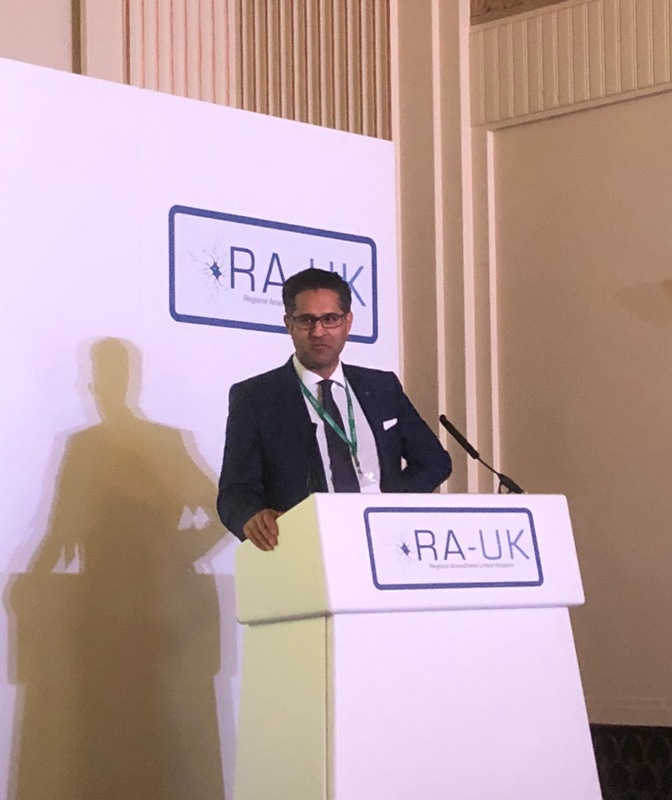 For further information check back here, visit the main website or check the Twitter hashtag #RAUK19. Congratulations to all the winners at our May ASM in Swansea this year. Poster abstracts and the winning video abstract are now uploaded. 3rd prize went to Dr Oliver with her poster "Home made gel phantoms for teaching Ultrasound guided Rectus Sheath Catheter insertion – the “Ban-abdomen”. 2nd prize went to Dr Fox with her poster "Using quality improvement methodology to implement a Rectus Sheath Catheter service in a tertiary centre". And 1st went to Dr Sadler, who gave an oral presentation on "Ultrasound Appearances of Peribulbar Block Complications', a fantastic talk on the use of Thiel cadavers to simulate complications of injection. She receives a prize bundle of ESRA congress fee, travel costs up to £500 and a years RA-UK membership. The video competition was won by Dr Wight, who's video on the RAPTIR block has been uploaded to our Youtube collection, and wins a prize of £250. I am writing to you after our 2018 ASM in Swansea as your new President of RAUK. I would like to start by sincerely thanking our immediate Past-President Dr Morné Wolmarans for his great leadership over the last 3 years. He has helped take RA-UK further, grown the membership and helped shape our society for the future. We are grateful for all his hard work, knowledge and experience and he will continue to guide and support us as he remains on the RA-UK board as Past-President. The meeting in Swansea was, we believe, a great success and initial feedback was very encouraging. We must especially thank Dr Christian Egeler and his local organising committee Drs Simon Ford, Rhodri Birtchnell, Tom White, David Burkett St Laurent for their excellent planning and organisation, and for putting on a great conference over the two days. We thank the expert national and international faculty who worked extremely hard and produced a level of education that I hope you all agree was at a standard that we should be very proud of. This year we had a number of “firsts” including introductions to Chronic or Persistent pain and Regional Anaesthesia in addition to POCUS (Point of Care Ultrasound). We also handed over our Twitter account @RegionalAnaesUK to Aidan Baron (@aLittleMedic) who ran the educational content for us and we thank him for tweeting out the highlights of the meeting. If you are keen to catch up on the meeting highlights, search for the hashtag #RAUK18. Looking forward, we encourage you to reserve your study leave for #RAUK19 which will be in Belfast on 16-17th May 2019. There will be some new features to this meeting that we know you will love, and a few surprises which we will reveal over the next few months. I hope to guide our society safely through the interesting times we have ahead, to increase our collaborations and educational aims for the future. Finally the results of our elections to council. Dr Packianathaswamy Balaji and Dr Maria Chazapis have completed their terms and we are grateful for all their work on the council and thank them for all they did. We welcome Dr Ben Fox and Dr James Parry (Trainee Rep) to our RAUK council as the successful candidates of the election and thank all those that stood for election and those that voted. All that remains is for me to wish you well for the year ahead, to remind you to book your leave for next year, and to follow us on Twitter for updates. A recent statement by the RCEM about a tragic death after hip fracture generated a great deal of concern both amongst members and anaesthetic societies. We are pleased to report that the RCEM have taken steps to clarify their initial response, the text of which is provided below. RA-UK fully endorses the following. RA-UK are pleased to announce the launch of a new patient information video titled "Nerve Blocks: An Information Video For Patients". The video provides information for patients undergoing surgery under an upper limb block and we would encourage all members to direct patients to this excellent resource. The video, produced by Dr Anthony Carey and Dr Ruth Greer from Bristol, was funded by an RA-UK Small Project Grant.The videographer was Rupert Ward-Lewis. The video may be accessed on the RA-UK Youtube channel or watched on the RA-UK Website. Looking for regional anaesthesia courses or events to attend? Look at our Meetings Section which contains a list of forthcoming events, RA-UK Official courses are run by current or previous board members and part of the profit goes towards benefitting the society, RA-UK approved courses meet educational standards set by RA-UK, and we also advertise other courses internationaly for our members benefit. 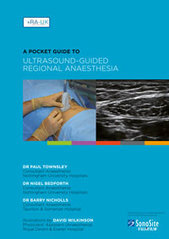 This handbook covers the principles of ultrasound-guided regional anaesthesia and the technique to perform all commonly used ultrasound-guided upper limb, lower limb, trunk and neuraxial blocks. We are currently out of stock, but the second edition of the handbook will be with us very soon. Watch this space for when it is available for ordering. Check out the RA-UK You-Tube channel - high quality video demonstrations of US guided blocks (videos available - Interscalene , Supraclavicular,Axillary,Radial, Median, Ulnar, Femoral,Proximal Sciatic, Popliteal, Tibial, Rectus, Ilioinguinal, TAP,and Epidural).